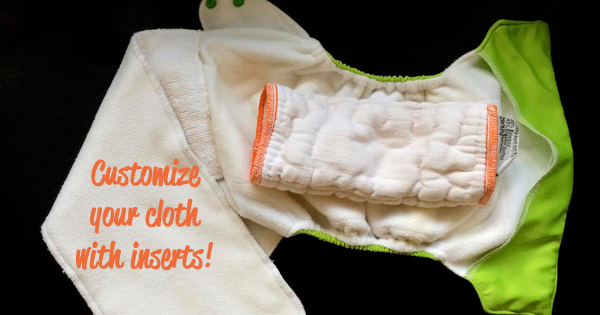 So often families can be turned off from cloth diapers when they encounter pocket diapers from $18.95 and up. Suddenly what seemed totally do-able appears out of reach and absolutely not financially feasible. 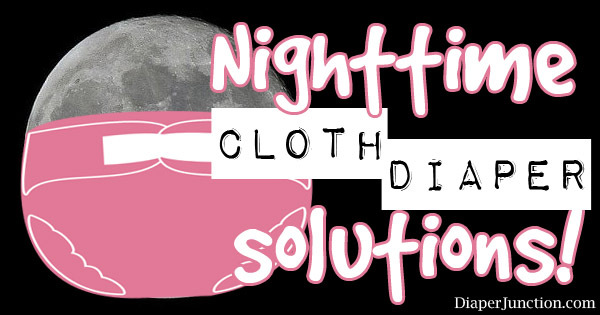 Cloth Diapering at Night? Yes you can! Using cloth diapers at night can be a scary idea. Especially if have already used disposable diapers and feel secure they will not leak. Believe it or not, you can have that same security at night with cloth diapers! 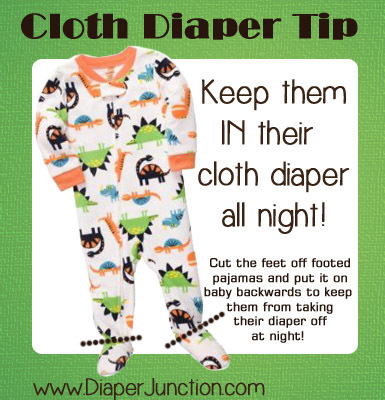 There are many ways to find the right night-time cloth diapering solution for your baby - even if he is a heavy wetter. Here are some night-time solutions that have proven to work for many a mama. Before this review, I want to thank Diaper Junction for their generosity; I can't recall the last time I received such great customer service from an online source and more than that-such AWESOME FREEBIES!!! I have tried the FREE Flip One Size Diaper System I won and am very impressed. A Possible Solution for Night Time Pants that Stay Dry? We've shelled out a lot of money in the last year or two buying disposable Goodnites pants for night time diapering. I've always felt terrible-because first, we're wasting so much money, and second, all those disposables are going into the landfill! I know there has to be a better way, but we have tried other cloth potty training pants and nothing has stayed dry through the night. Using cloth diapers at night is basically the same as cloth diapering in the day, but with the need for added absorbency. Think about it. Babies don't pee more at night than in the day, they are just in an unchanged diaper for a longer period of time as the family sleeps. Finding a night time cloth diaper system is about fine-tuning the additional absorption your baby needs during that longer period of time.